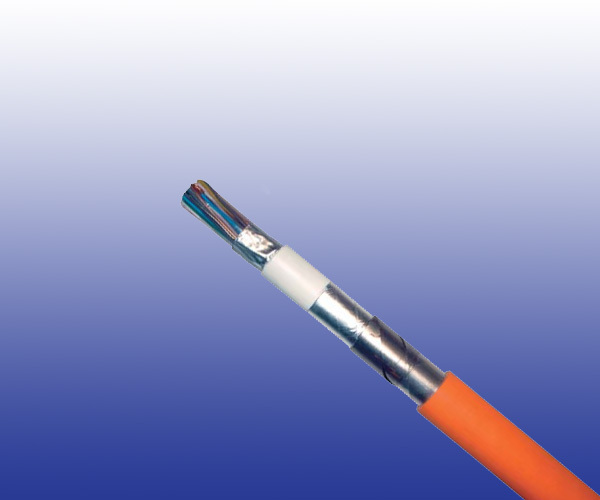 The cables are designed for remote control and teletransmission in underground railway networks. The cables can be laid in channel, cable tray, or on hook supports, along suburban railway lines electrifi ed at maximum 1500V DC. Conductors Copper wire, 0.6, 0.8, 1.0 or 1.2 mm nominal diameter. Cabling Element Four conductors are twisted to form a star quad. For 1 & 4 pair cables, conductors shall be twisted in pairs. Stranding Quads are stranded in helically laid concentric layers or units to form the cable core. Moisture Barrier One laminated sheath made of aluminium tape coated with PE-Copolymer on at least one side is applied with longitudinally overlap. Inner Sheath LSZH fi re retardant compound. Armour Two helically applied steel tapes. Outer Sheath LSZH fire retardant compound.